How many bridesmaids you have in your wedding party is your decision and your decision alone, regardless how much pressure you’re getting from friends and family. If you’re facing this tricky decision, here are some tips on deciding how many bridesmaids you need. Figure out your bridesmaid budget before you decide how many to have. You may need to buy accessories, and you will undoubtedly have to give a thank you gift to each bridesmaid and provide transport to the wedding ceremony. While it is usual for bridesmaids to pay for their own dresses, many brides like to pay a bit towards to the cost of the outfit as well. If you are blessed with several nieces or soon-to-be nieces-in-law, you want to ask all of them or none of them to prevent anyone feeling hurt. If you choose one friend’s daughter, you need to choose all your other friends’ daughters of a similar age. This isn’t relevant if you have a special relationship to one little girl, for instance if you have a goddaughter. It is traditional to pick one bridesmaid and one usher for every fifty guests as one of their roles is to mingle with the guests and make sure they are all ok. If you are arranging a small intimate wedding just have your best friend as a single bridesmaid, but if you are having an extravagant bash for three hundred guests you can ask at least six bridesmaids. This rule is really more of a guide – you can have as many bridesmaids as you like, even if your wedding is quite small. When you are considering how many bridesmaids to have, follow your heart and ask the ladies that you really want by your side on your wedding day. Don’t be too focused on practical issues like the fact that they are attempting to get pregnant and might be enormous by the big date, or the fact that they live far away and can’t attend your dress fittings. The saying ‘blood is thicker than water’ might be clichéd yet it is often true. Think about how many sisters you are blessed with, including possible stepsisters and future sisters-in-law. If that is the perfect number of bridesmaids for you, it might be the easiest solution. Your friends will understand if you pick your sisters to be bridesmaids over them; a number of them will expect you to do so. 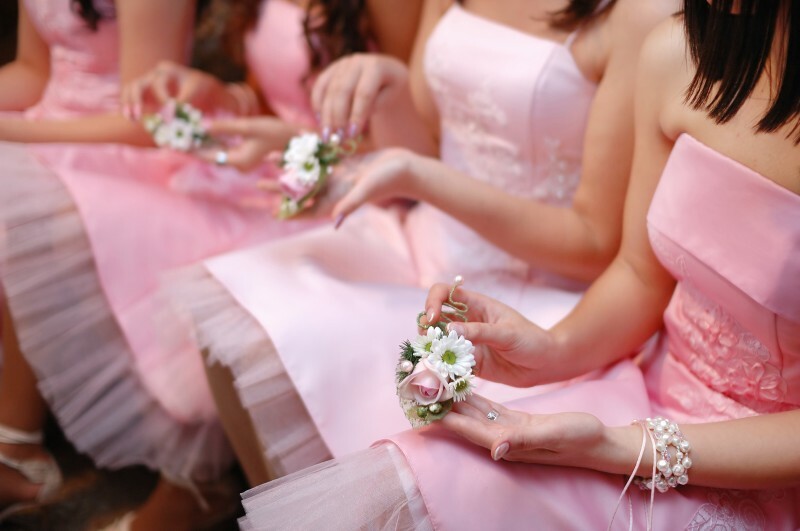 If you plan to have young bridesmaids or flower girls, it is a great idea to pick at least one adult bridesmaid to keep them under control. The last thing you need to be doing in your bridal dress is jogging after a runaway flower girl. Most of the time, younger bridesmaids behave better if the adult bridesmaid is their sister or person they know well.